The recent Royal wedding may have taken you back to childhood and the dream of being a princess and marrying a handsome prince. From the beautiful gown to the romantic setting, would-be brides often picture all the little touches that will make their wedding day a true fairy tale. 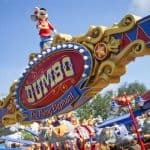 For the past 20 years, there are a few places where fairy tale dream weddings really do come true, and those places include Walt Disney World Resort, Disneyland and aboard the Disney Cruise Line. In fact, more than 40,000 couples have married at a Disney property with the help of Disney’s Fairy Tale Weddings . 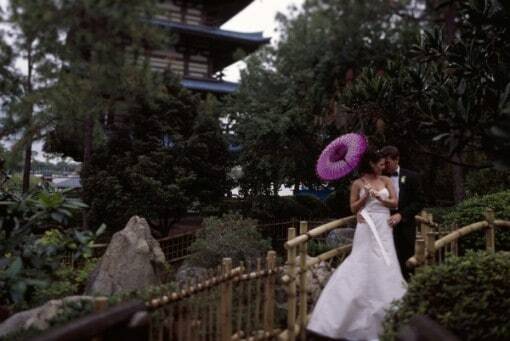 I recall 18 years ago when a good friend of mine chose Walt Disney World Resort as the site of her wedding. My instant reaction was to talk her out of it, as a wedding at a theme park seemed to me to be a bit, well, Goofy! It was her wedding of all things, the event of a lifetime, not a mere Mickey Mouse affair! I could not have been more wrong. Her Disney ceremony was tasteful, she looked radiant, relaxed and happy, and her wedding was a wonderful experience we will remember always. Recognized as one of the top-ranked wedding and honeymoon destinations, Walt Disney World Resort hosts over 1,500 couples tying the knot each year. 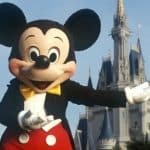 While this staggering number might conjure up the image of a cookie-cutter wedding, Disney’s wedding specialists, also known as Fairy Godmothers, take great pride in helping each couple design their unique happily-ever-after. Guests to the Resort are quite familiar with the beautiful white Wedding Pavilion located at Disney’s Grand Floridian Resort and Spa. 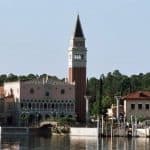 Still, there are a number of other locations to hold a ceremony like the exotic locales in Epcot’s World Showcase, the gardens of surrounding Resort properties or the magical spot near Cinderella’s Castle in the Magic Kingdom. Arriving at your wedding can be a pure dream come true with a ride aboard Cinderella’s Coach – pulled by six Welsh ponies, two footmen and a driver dressed in full regalia. The coach is definitely fit for a queen and was designed by Bennington Carriages, the same company that makes carriages for the British Monarchy. If that seems a little over the top how about a ride aboard a single horse drawn white Landau coach. Don’t feel like horsing around? Every bride looks stunning in a vintage Ford Model A or Vintage Rolls Royce. Disneyland Resort offers West Coast couples numerous options for creating their dreams come true with ceremonies held in the Rose Garden, Parkview Terrace, the foreground of Sleeping Beauty’s Castle or pure California charm at the tented Paradise Pier Pavilion. Receptions are offered under the styling of celebrity wedding planner David Tutera, and range from simply chic to classic elegance. For something fun and pure Disney, you can even invite your favorite Disney Characters to attend your reception. 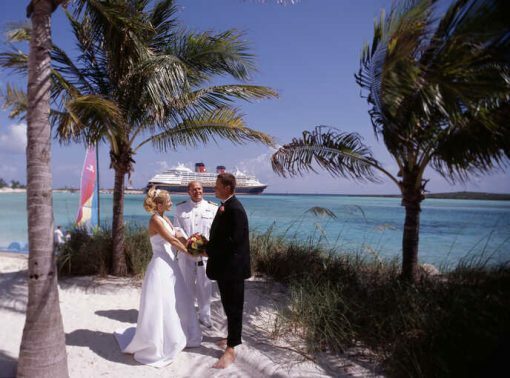 For the ultimate in a destination wedding, why not let Disney Cruise Line host your wedding. From picturesque spots on board ship of the Disney Wonder, Disney Magic or Disney Dream, to the ideal tropical setting of Castaway Cay, Disney’s private island in the Bahamas, your ceremony and reception will be a true celebration. As the Disney Cruise Line continues to add exciting destinations and exotic ports-of-call to its roster, including Alaska and Hawaii, a Disney cruise ship wedding will be even more enticing. Speaking of Hawaii, as the finishing touches are being conducted at Disney’s newest Resort, Aulani Resort and Spa in Ko Olina on the island of O’ahu, couples can make plans for their upcoming weddings at the resort (scheduled to open August 2011). Ceremonies taking place in Makaloa Gardens on the lawn adjacent to Aulani, offer views of the Pacific Ocean for a lovely island wedding. Disney also offers a special wedding package that is perfect for couples wishing to renew their vows. To honor 1991, the year that Disney’s Fairy Tale Weddings & Honeymoons began, the Memories Collection wedding package has been designed to be priced at $1,991. 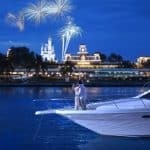 The package features an intimate ceremony for up to six people held at Conch Key Marina or Narcoossee’s Landing, both located at Disney’s Grand Floridian Resort and Spa or Luau Beach at Disney’s Polynesian Resort. Other features included in the package are a floral bridal bouquet, violin soloist, three-hour chartered limousine service to transport the couple and guests to and from the ceremony, and one-hour of service by a professional photographer to capture your memories. Even if you are not marrying at a Disney property, you can still look like your favorite Disney princess. The bridal gown collection, Disney Fairy Tale Weddings by Alfred Angelo is created “for stylish women who have grown up with the Disney Princesses” with each dress featuring the unique style of the princess for which they are named. Brides can select from a number of wedding gowns designed to conjure up the image of the seven Disney princesses, Ariel, Aurora, Belle, Cinderella, Jasmine, Snow White and Tiana. To commemorate the 20th anniversary of Disney Weddings, the Cinderella Platinum dress will be available beginning fall of 2011. From Fairy Godmothers overseeing all the details, to magical and exotic locations for the ceremonies and receptions, a Disney Wedding is truly a Fairy Tale come true. Previous post: Rock of Ages Asks Do You Wanna Rock?